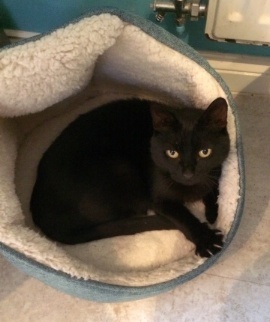 Rosie is an affectionate 1 year old black cat, who loves company. She is very lively and playful. She needs a home with a family with older teenage children who can give her lots of attention and keep her entertained!